This grilled boneless chicken breast was tender, juicy and flavorful. However, the peanut sauce was a bit too sweet for my liking. I enjoyed the sweet and sour achara (pickled green papaya), though. Next time, I’ll make sure to order an extra serving of rice for this Boneless Chicken BBQ because as you can see, the portion size of the rice on my plate was quite small. 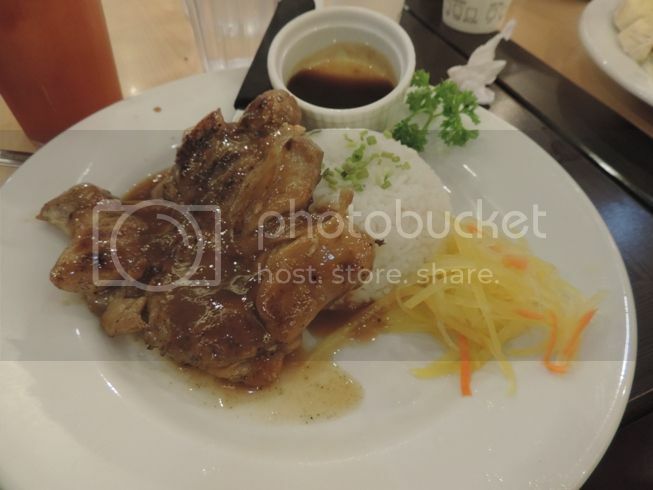 This entry was posted in Boneless Chicken BBQ, Icebergs. Bookmark the permalink.